If you haven't already made plans for the few days before SBL International in St. Andrews, you might like to stop by the University of Edinburgh. 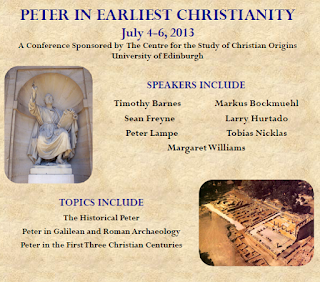 The Centre for the Study of Christian Origins is sponsoring a conference, July 4-6, on Peter in Earliest Christianity. The speakers that I am looking forward to most are Larry Hurtado, Peter Lampe and Markus Bockmuehl. The provisional programme is found here. 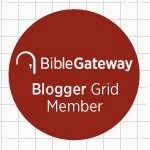 I will be posting updates from both this conference and from SBL, sharing highlights. UPDATE: Prof. Hurtado has posted a 'final notice' regarding the conference. 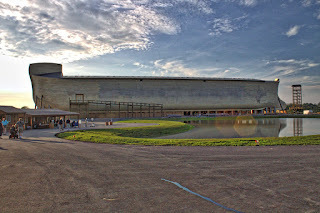 They have room for another 15-20 to register.